What started as a passion project for writer, journalist and brand owner Michael Dupouy, quickly turned into a full blown movement. The first entry into the ALL GONE series was created in 2006 to document, discuss and dissect all the big moments, products and brands that contributed to street-culture the previous year. Fast forward to 2019 and the series is still going strong, amassing a cult following in the process. In the past we’ve partnered with Michael to host book signings at our Berwick Street location, and this year we have been lucky enough to make this happen again. 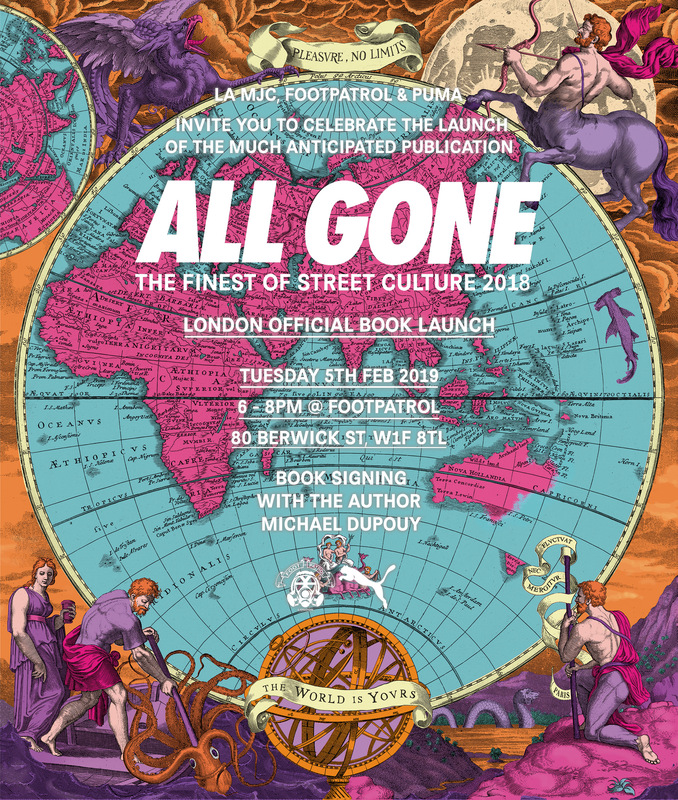 Hosted by Footpatrol and sponsored by PUMA the ALL GONE 2018 book signing will be taking place at Footpatrol London on Tuesday 5th February between 6PM – 8PM. Customers will be able to purchase the book direct from the store (priced at £60) and have it signed there and then by Michael.